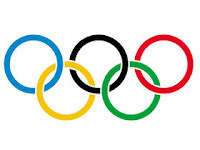 Now that golf has been accepted into the Olympics, there have been, of course, all kinds of conversation and consternation concerning the format that will determine the gold, silver and bronze. There has been no shortage of suggestion. Virtually every golf scribe and nearly all sports pundits have offered advice. So, with that in mind, Eye On Golf, with its multiple years of expertise in the game, would like to present its submission for the proper format to determine the medal winners. We have alluded to such in one of our recent entries. What we do not want is the same-old, everyday 72-hole stroke play tournament with the low man or woman taking home the gold. If you want that for international competition, just go to the World Cup or almost any WGC. We need something original. After all this is the Olympics. The Olympics require a format that is unique, something that combines stroke play and match play. It has already been pretty much predetermined that there will be sixty men and sixty women competing. Some Olympic Golf Committee has decided that. Each group of sixty is derived from world rankings and a couple of other criteria. Now what our plan proposes is this: the sixty from each group play a 36-hole qualifier, possibly in one day, for the privilege of entering into the match play portion of the event. Only the lowest 48 from each group advances to match play. Match play brackets are determined by the 36-hole qualifying score. From this point, on days two and three of the competition, 18-hole matches are played leaving twelve players at the end of three days of competition. Those twelve remaining players then compete over 36-holes of stroke play on the final day with the lowest three winning the appropriate medals. 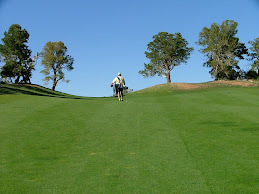 With this format the participants are tested in both forms of golf competition. With this format we get complete champions. Yes, it’s a lot of golf in four days and it could possibly be stretched out to five or six days. However, the Olympics are for athletes pushing their bodies to the limit to gain the ultimate prize in sports. Golf should be no different.